These raw, organic walnuts are rich in fiber, B vitamins, magnesium, and antioxidants. They have significantly higher amounts of Omega 3 fatty acids than other nuts. 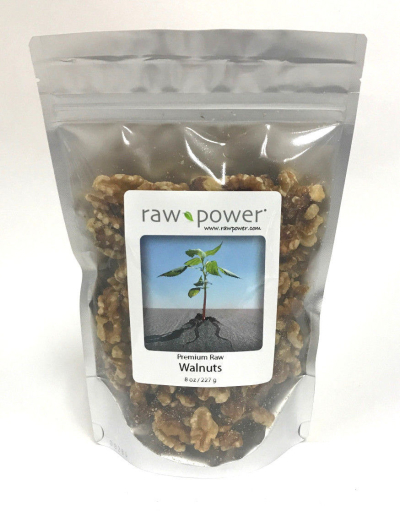 Good for heart health and function, even the FDA has recognized the benefits of walnuts in heart disease prevention. 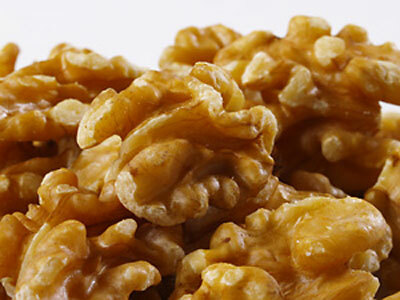 Eat walnuts instead of foods that are high in saturated fat (meat, cheese, etc.). Great for snacking, salad topping, or for use in your favorite recipes. Blend all ingredients in food processor or blender until pesto consistency is achieved. Great atop green salads, or slice turnips paper thin, fill with a spoonful of pesto, fold in half, and you have a "rawvioli."